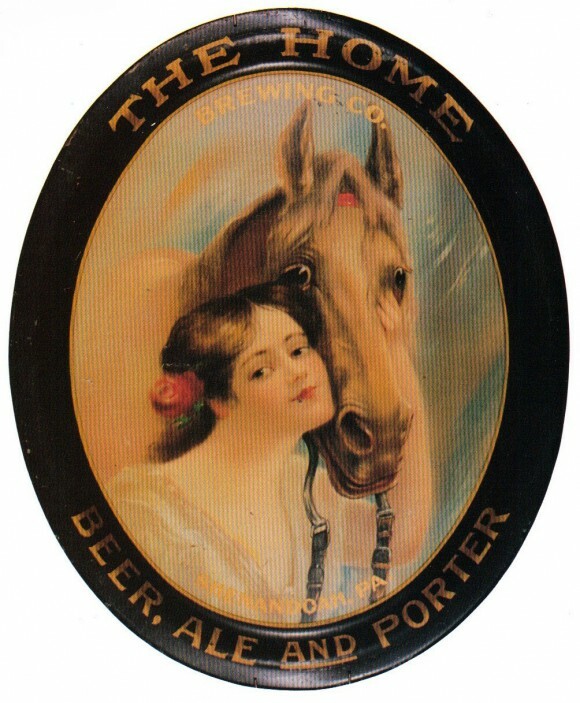 Serving Tray for Beer, Ale, and Porter from The Home Brewing Company out of Shenandoah, PA The center shows a beautiful woman with a flower in her hair posing with a horse. This is a stock tray, which means that this design was produced on trays and then they were sold to breweries and the names were added later. Therefore, this design can be seen with more than one brewery name on it.